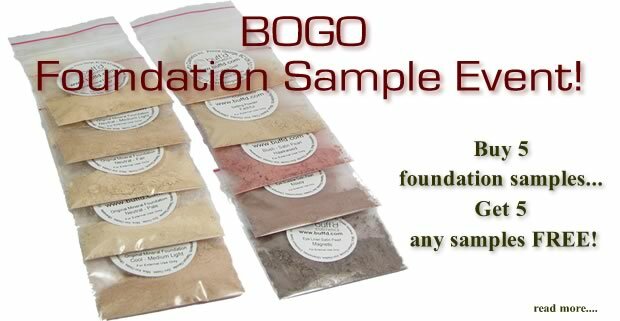 Buy 5 Mineral Foundation Samples and Get 5 Any Samples FREE! Just add at least 5 Mineral Foundations to your cart and then let us know in the comments section which other 5 samples you would like us to include. If you have been wanting to try a few foundation shades to find your perfect match... there is no better time than now!